Feline kidney disease is common in domestic cats, but rare in wild cats. And it is becoming more common. You might ask why with all the new prescription diets that are being produced and all the veterinary research that increasingly occurs. The thing is, when you start from a false premise, no amount of research or food production will ever succeed. You have to look at things in a different way. You have to start with the truth. This is often not palatable by those who have invested time and money in their training and/or product. However, that doesn’t affect the truth. It will remain the truth until they are ready to see it. Let’s start with the diet. Each species has evolved on a particular diet for eons. Their system works perfectly on this diet. Along comes man. They see that there is a lot of waste in producing human food. Can they use this waste? Can they turn this waste into a profit? How about pet food? 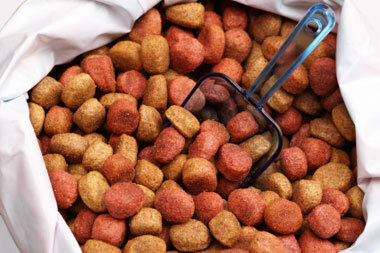 At the time commercial pet food was emerging, most people ate a reasonable diet. The table scraps would often be fed to the cats and dogs. Cats were allowed to roam free, as they were often needed to keep down the mice and rats. All that has changed. Not for the better as far as the health of the cats is concerned. Now mice and rats are poisoned. Cats are kept inside. I think most mice would prefer to be killed by a hungry cat (fast) than the slow death by poisoning. Cats kept inside can’t access the things they need to stay healthy – soaking up the sun, grazing on medicinal plants, wandering around the garden connecting with the earth’s energy underfoot and so forth. And the food itself starts with waste and declines from there. Chemicals, preservatives, unsuitable food for cats is just the beginning. Cats can never be healthy on this diet. Feline kidney failure is often the first sign that something is seriously wrong. Then vets prescribe an even worse diet when they tell you to feed your cat a commercial feline renal diet that is low in protein. They don’t understand the physiology of the cat. Vets are good at managing disease, but they are not good at promoting health. So they will prescribe a diet and a medication that may keep your cat alive, but will do nothing to heal the problem. It’s not their fault. It’s the way they have been trained. Some are waking up. I know of one vet, who is having a hard time from other vets and his association. He is going against mainstream. That’s threatening. But he knows this is the right way, because it works. Feline kidney disease is eminently reversible, as long as you follow the laws of Nature. Even chronic feline renal failure (often called feline CRF) may be helped depending on various factors. The right diet is essential. The one they evolved on. Maybe with a few minor alterations to accommodate us and our busy lives. But essentially the same. The most effective medication is the one that doesn’t suppress the symptoms, as veterinary medicine does, but one that supports the body as it tries to heal itself. Homeopathy does that admirably. Feline urinary tract disease is a common part of the overall renal system in crisis. A natural cat is a healthy cat. Don’t be swayed by clever marketing with persuasive names. The best feline kidney diet will always be, and has always been, a natural species-specific one. Whatever has gone before, the right diet can still restore your cat’s health. Whatever has gone before, good homeopathic treatment for cats offers the best hope for reversal of this common health issue. Or any other. Feline kidney disease is common. It’s their Achilles heel. But it can be reversed. It can be healed. But only when you follow the laws of Nature, the Truth. This is a chronic disease. It’s serious. Don’t try to treat your cat yourself. Progress needs to be monitored by those who understand the process. Treatment may need to be changed several times.